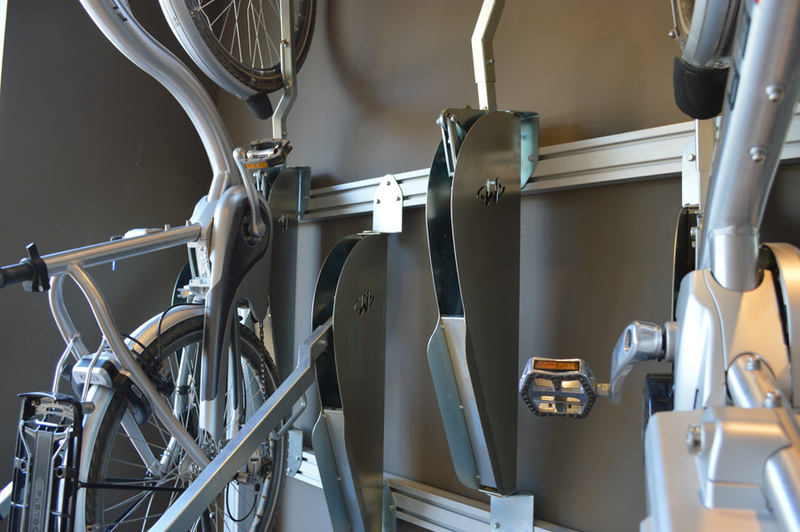 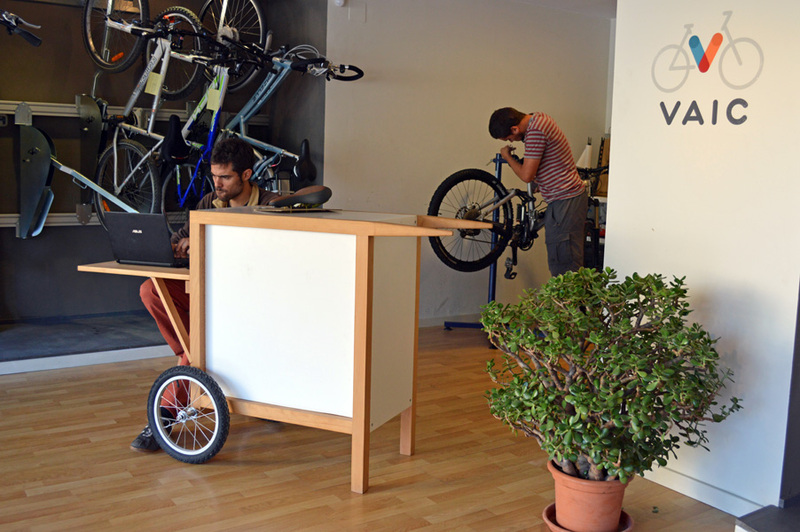 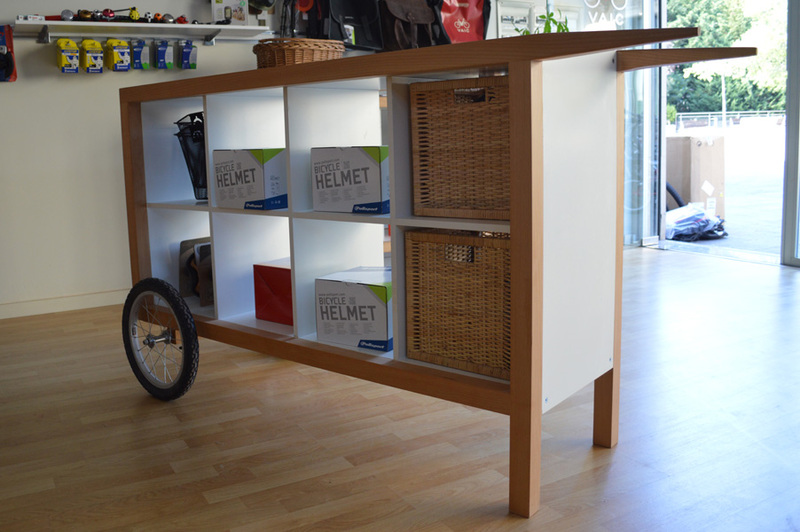 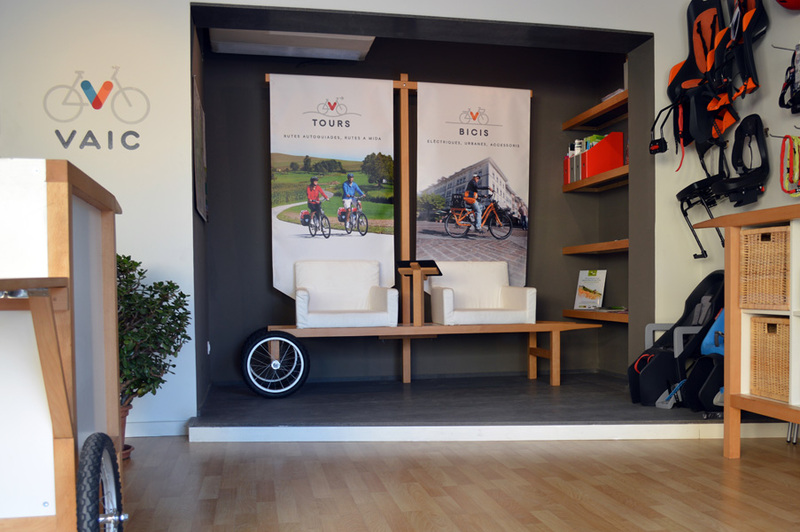 Interior and mobile furniture design for an electric bike store. 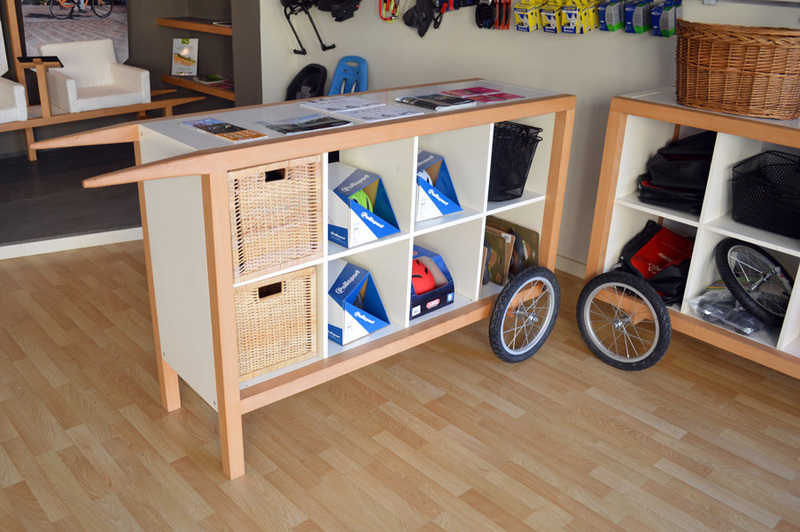 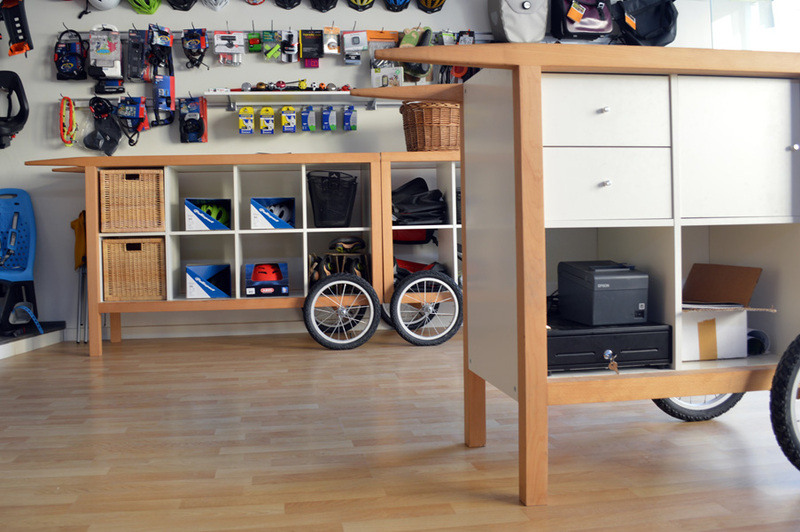 The layout intends to make the most of the small available space by creating a display area, a tour information corner, bike storage space, and an accessory shop. 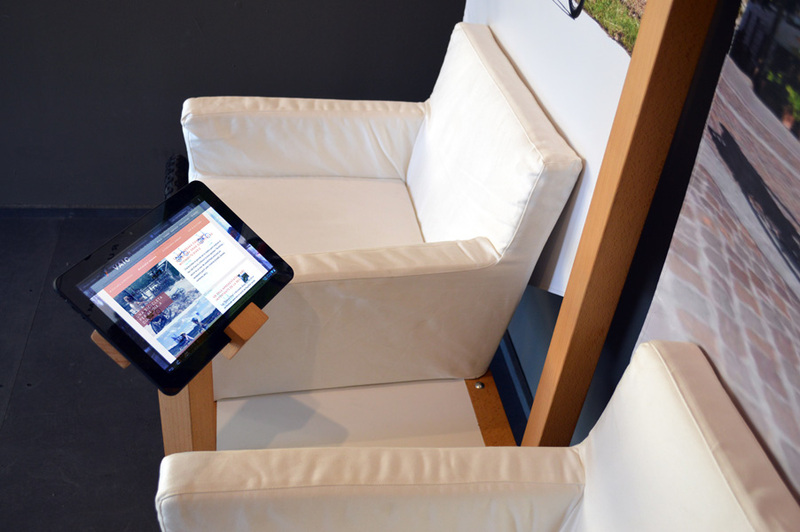 Furniture elements have been designed to allow complete mobility on wheels: space configuration can be changed, while the elements can be taken outdoors and placed in fairs and other outdoor events.